Recently I built a new x64 or 64 Bit Windows Server 2008 machine. I wanted to install the new Virtual Machine Manager 2008; however because it was an ISO, I needed a way to Mount the ISO image. 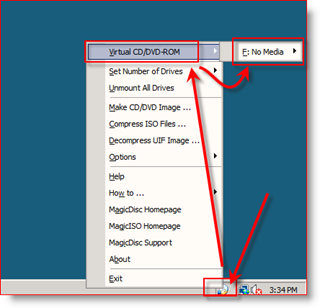 A few months back I wrote a How-To Tutorial on Mounting ISO Images for Vista and XP using Virtual Clone Drive. 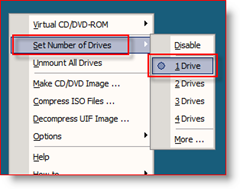 Unfortunately, Virtual Clone Drive doesn’t support 64-bit. So, after digging around a bit, I found a Free software package that works on both Server 2008 and 64-bit/x64 machines – MagicISO. You can find Both the x64 and x86 (64-bit and 32-bit) versions of the software at the Link Above. Personally, I grabbed the x64 version for my Server 2008 Box. Don’t worry that it doesn’t call out “Server 2008.” What I’ve found (over the past year Server 2008 was released), is almost all Drivers/Software for Vista work on Windows Server 2008.
etc… Play around with it. MagicISO is a very GROOVY piece of Freeware. Works great with Windows Server 2008, Vista, and XP. Grab a copy and Mount away. VirtualClone CD works fine on Windows 7 x64 and it worked fine on Vista x64. Thanks for the feedback and welcome to groovyPost! Will have to test it out. Thnx for the fyi Marin. Works great. Never mounting my local CD Drive to install software again. Burning an image then mounting the image is much faster. Thanks so much for these super great instructions! They really helped. Thank you for the feedback & welcome to the site! 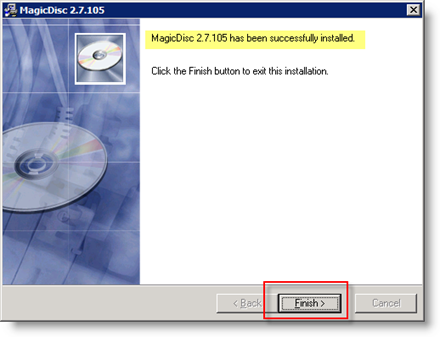 MagicDisk cannot open driver (mcdbus), please make sure MagicDisk is run as administrator. You need to right click MagicDisk.exe on Windows Explorer, and click on Run As Administrator to run. I tried running as admin but, still getting the same message. Any help is greatly appreciated. I am running on VMWare. 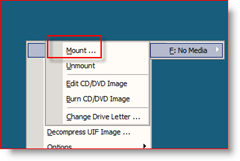 If you’re running on VMWare you can mount the DVD onto the virtual CD drive of the machine. Seems they have changed the location of their download site but have not updated the links on the tutorials page listed above. 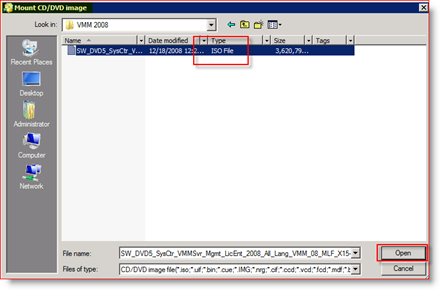 The links reference magicdisk.net as the host – change the link address to magiciso.com and i was able to download the latest program (Win 2k8). @Paul – Hi Paul. Actually I think these are 2 separate products. 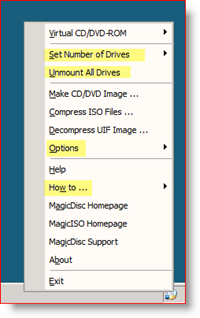 MagicISO is a CD/DVD image file creating/editing/extracting tool. 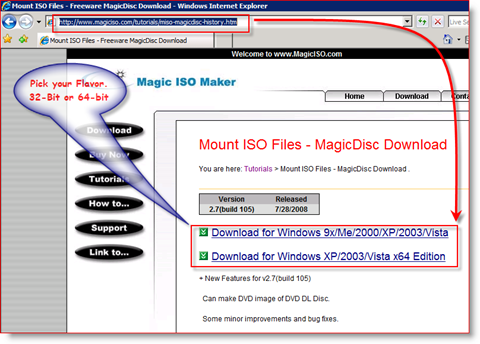 MagicDisc / MagicISO is used to mount image / iso files as a Virtual CD/DVD-ROM. So yeah, 2 separate products which explains the 2 separate links. 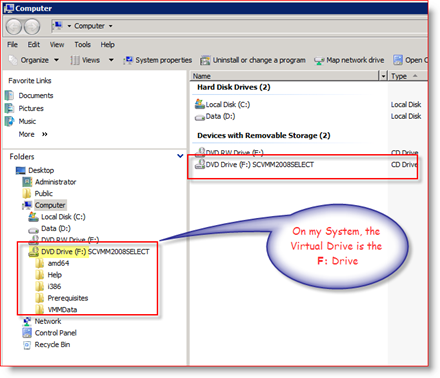 Hi Taylor – Yup, Virtual Clone Drive has always been a great product. Thanks for this m8. Was fighting with ISO_Disk and others and came across your post. Schweetnezz. Awesome! Glad the article saved you some time and helped out. Thanks for the link-back BTW – great blog! Skip this one and find something else. I’ve never seen a slower iso mount utility. I could have gone to the store and bought a dvd drive and come home and installed it before this thing copied a 4 gig iso. Not sure what snoig is on about.. my 4gb image loaded in a few seconds no problem. Seems a good product. Thanks for the tip. Amazing! Thank you, worked a treat!! In contrast to the mainstream ideas, I have to disagree with you, as there are simply so many different components to consider. Nicely if you are open for link trade, perhaps we must always communicate with one another, in order that we can build a greater blog together. What do you suppose? Better than this tool? How long you been using it? Thank you Steve, this helped me. Great step by step instructions! You are very welcome. Glad it solved your problem. Welcome to the blog! Thanks Steve, Virtual Clone drive wasn’t working anymore. Thanks, worked like a champ for me on Win2008 R2 64-bit.